When I wrote about the “Cob Loaf” and “Vegemite” yesterday, for some strange reason I forgot that I could have been writing a different language for some of my friends out there. So tonight I am going to try and explain what they are. I will start with the “Cob Loaf” cause that’s the easy one. 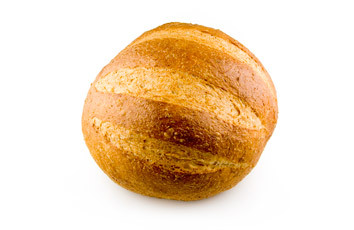 A Cob loaf is basically a rustic round, freeform loaf -- 'cob' actually means 'head'. A Dutch cob is a cob loaf with a single slash down the middle. 'Cob' always refers to a large loaf, not to small bread rolls of a similar shape. 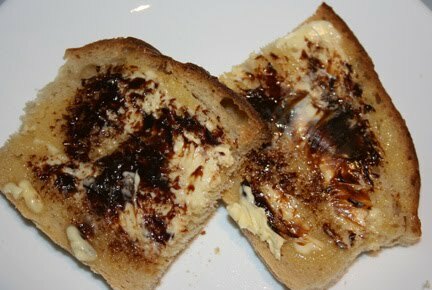 Now onto Vegemite!! The Wikipedia meaning is : Vegemite is made from leftover brewers' yeast extract, a by-product of beer manufacture, and various vegetable and spice additives. The taste may be described as extremely salty, slightly bitter, and malty, similar to the taste of beef bouillon. The texture is smooth, resembling margarine, although somewhat firmer and sticky. I think this is a fairly accurate description and I love the taste but I can also see how some people want to throw up when they taste it. But as I mentioned I have been raised on it and have it on my toast every morning. “Davine Time” update: Today my day was filled with some me time. It started with brunch with my girlfriends – Alice, Melissa and Sylda. Then this afternoon I went to “Angel Michelle’s” to an Aromatherapy Party. Now I am just sitting with my feet up watching T.V. Thanks for the explanation! I was wondering! You're so good. Thanks for the explanation. Isn't it interesting that you and I speak the English language but differently, just as my buddie Cee from Wales speaks English but at times, I've had to ask for a translation. I am intrigued by the nuances. It's a wonderful thing. It's like Spanish here in New Mexico. I have a friend who studied in Madrid. When she came home she said she had to readjust to the "Spanglish" we speak here. Thank you for this explanation, the Vegimite sounds like something you have to acquire a taste for and no thank you! How wonderful to go to an aromatherapy party, did you make some wonderful purchases? 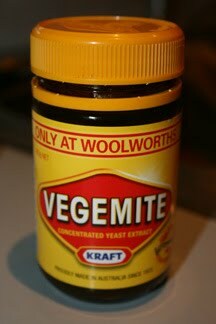 Vegemite, so similar to Marmite in the UK. You either love it or hate it, which is part of the TV ad. I love it, although particularly on hot buttered toast, delicious! I learned two new things in the post. I have not heard the term cob before and never knew there was something called Vegemite. I don't know if I would like the Vegemite or not, possibly yes. I like salty things better than sweet. I wonder if we have it here. I am always open to finding something new and learn something. So thanks! I discovered your blog because Darlin tagged us. She's a sweet woman. Thank you for the vegemite description because I've seen the word in novels I read. Now I am informed.